As we are dedicated to help you beating diabetes naturally; I decided to share this simple recipe of mixed salad with cabbage, carrot, onion and olives and sprinkles or lemon. 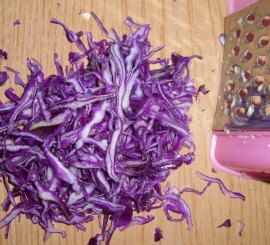 I cut the red cabbage. You can use the veggie cutter or chopper machine. 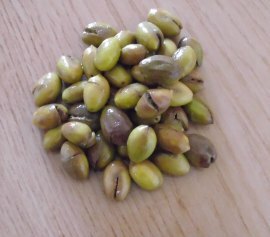 I used this simple one as shown in the photo. Red cabbage is well-known for its high content in potassium (243 mg/100g) and vitamin A (116 IU/100g) and vitamin K (38.2 µg/100g). 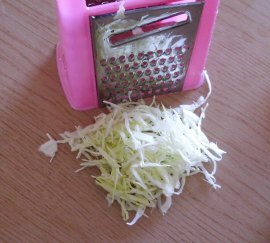 I also cut the white cabbage in very tiny pieces. 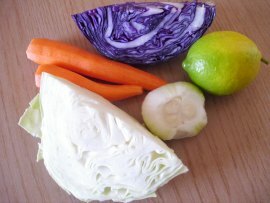 White cabbage is rich in folate (43 µg/100g) and a good source of magnesium. 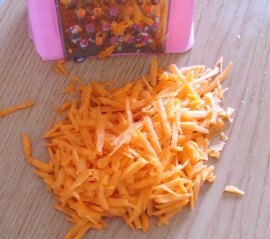 Next, I finely cut the carrots. Apart being high in vitamin A, potassium, vitamin K; carrots are also a good source of magnesium, natural carbohydrates and fiber. I chopped the onions. You can also cut them finely; but, I like their taste when chopped. 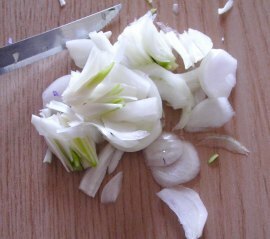 Some of my friends do not like onion taste even to see them. So, they prefer the tiny-cut onions. By the way, onions are a natural source of potassium, calcium, folate and magnesium. 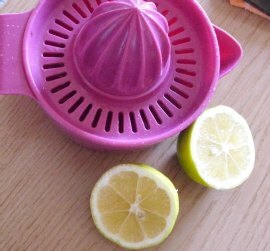 I cut the lemon in two halves. The first one I squeezed to prepare a freshly made lemon juice to sprinkle this salad. The other half, I cut in small pieces to decorate this mixed diabetic salad. I took some olives to add more taste and decoration to this simple salad. If you do not like olives (although they are very healthy); it is ok not to add them to your salad. I add salt to taste and olive oil to my salad and mixed everything altogether. 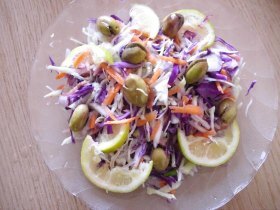 At the end, I poured the mixed cabbage and carrot salad in a plate, decorate with some olives and lemon cuts.